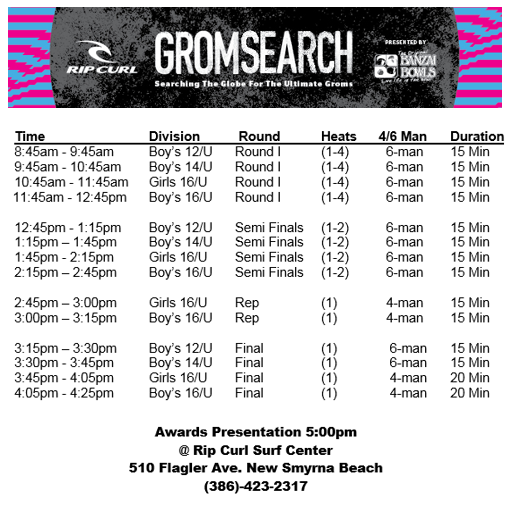 Stop #3 on the Rip Curl GromSearch is scheduled to run this Sunday, 8/14 at New Smyrna Inlet, FL. Below you can find the schedule for the day. The individual heat draw will be posted by Friday to ripcurl.com/gromsearch.